Home / Blog / Has Secretary Shulkin’s Ouster Opened the Door for VA Privatization? Has Secretary Shulkin’s Ouster Opened the Door for VA Privatization? The VA denied there was any behind-the-scenes jockeying for privatization, issuing a statement that read, “There is no effort underway to privatize VA, and to suggest otherwise is completely false and a red herring designed to distract and avoid honest debate on the real issues surrounding veterans’ health care.” However, since Shulkin’s ouster, the voices advocating privatization seem to be rising. Trump has said, “Veterans should be guaranteed the right to choose their doctor and clinics, whether at a VA facility or at a private medical center. 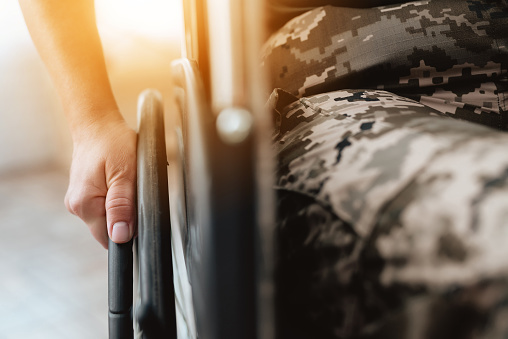 We must extend this right to all veterans.” While this is not a call to dissolve the VA, the president’s statement does favor further liberalization of veterans’ rights to seek treatment outside a VA facility. Advocates for a stronger VA, such as the American Legion, oppose privatization, and fear that further expansion of veterans’ rights to seek private sector care will undermine the government’s commitment to the VA to the detriment of veterans who need specialized care. White House physician Ronny Jackson, Mr. Trump’s first nominee to replace Shulkin, was seen as an advocate of the path Shulkin resisted. But he withdrew his name from consideration after a wave of negative publicity. The president then nominated Robert Wilkie, then acting secretary of the VA. As acting secretary, Wilkie followed through on one Shulkin initiative: signing “a multi-billion dollar, multi-year contract” Shulkin had awarded to IT giant Cerner to “replace the VA’s outdated electronic health records system.” However, Wilkie is seen as a supporter of the recently passed VA MISSION Act of 2018, which bolsters the agency but also expands the rights of veterans to seek treatment from private healthcare providers outside the VA system. If confirmed by the Senate, Secretary Wilkie will have to contend with forces that are as polarized as any in American politics. That’s a shame, since our duty to care for service members who have sacrificed on our behalf should be placed high above political squabbling. We continue to hope for a strong turnaround for the VA for the sake of our veterans.